Have you ever thought, gone are the days where you can start and finish your career with just one company. Not so fast, I found one. I was recently approached by one such company. A company that treats you like family, because you are family. A company that empowers you because that’s what you are supposed to do. A company where the CEO is a leader who has positioned the organization to be a magnet for success. 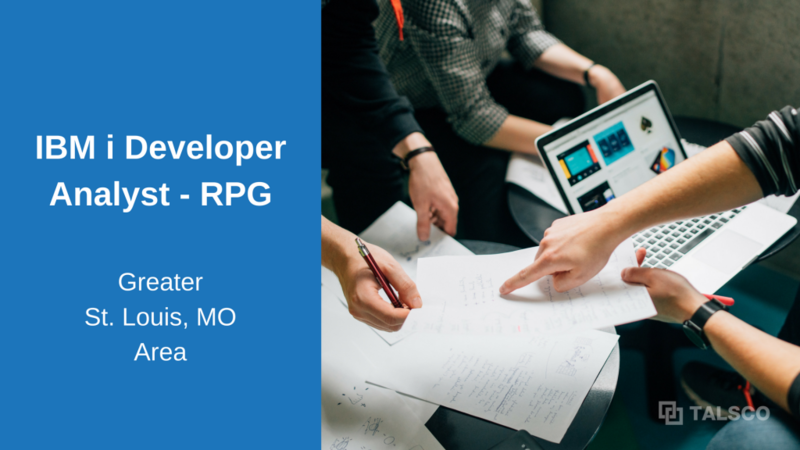 Imagine being an RPG Developer where you can work in a modern environment using RDi and Free Format RPG. Say goodbye to Fixed Format. You can do that here too. While many organizations limit the benefits they offer, this one has pulled out all the stops. They offer a very competitive benefits package and a retirement program that is unmatched. If you, would like to know more about this St. Louis, MO area opportunity contact us (please include position title and location in the comments) and we will get back to you with next steps. If you would prefer to speak with us directly about this or other openings we have you can schedule a call with us.